I am flying to Ka rachi in a few hours, to Karachi Literature Festival . About a month ago I visited Islamabad and the vice chancellor of Fatima Jinnah University gave me a plaque. I taught at Karachi University too and read poems at TF2. It is an honour to visit Pakistan again. 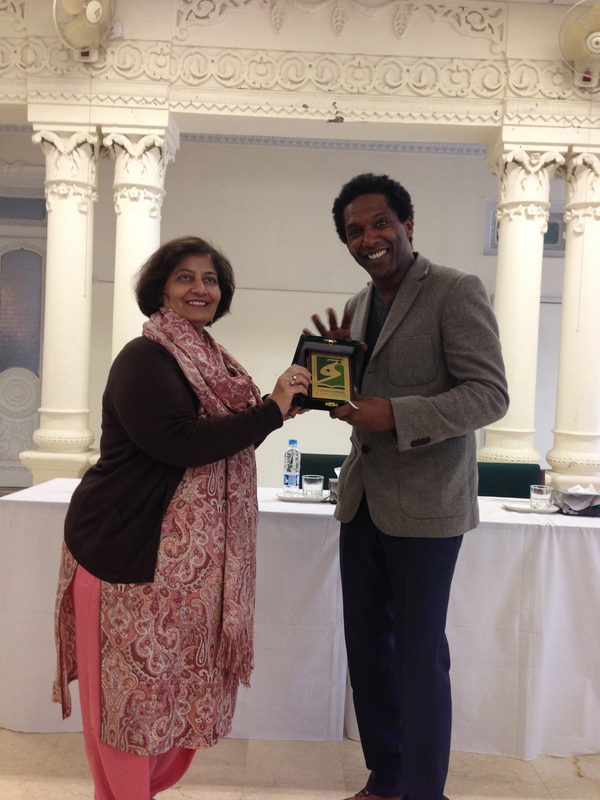 I am grateful to The British Council and Ameena Saiyid director of Karachi Literature Festival. For those in Pakistan here is some feedback about my workshop at Karachi University written by a student. And here’s an article about my reading, Photo: Top Karachi University bottom Fatima Jinnah University. 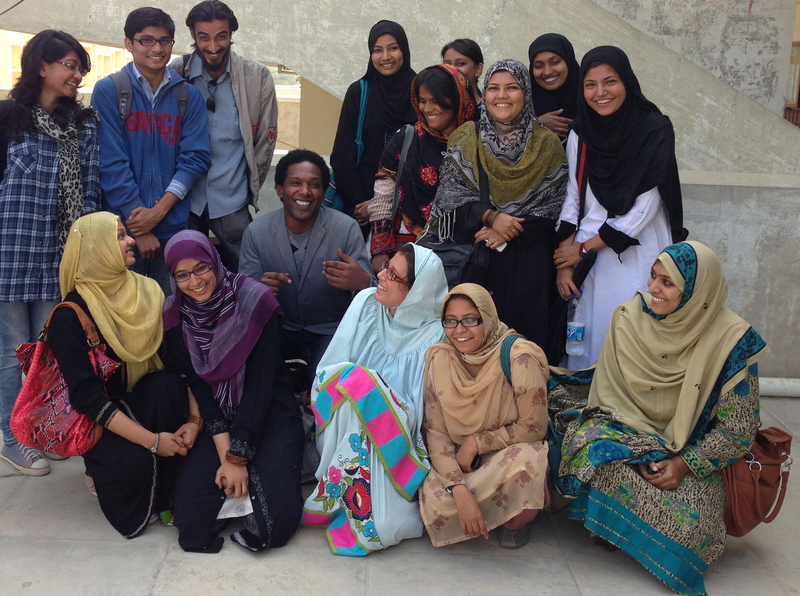 This entry was posted in Main Page and tagged BCLiterature, britishcouncil, Karachiliteraturefestival, southbankcentre by Lemn Sissay. Bookmark the permalink.